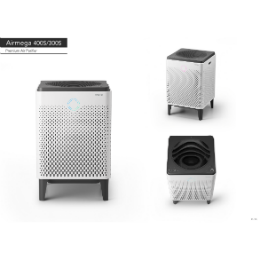 AIRMEGA series [400S/300S] is a stylish air purifier with a Wi-Fi-enabled feature that let you allow having a smarter control of your air purifier that clean your indoor air and protect your health. Airmega creates a more comfortable home in a way consumers can feel and see through in-app monitoring while the device does its job. Also, This air purifier is a not just a product placed in your home, but a lifestyle product that blends into your living space and helps you to breathe cleaner and healthier air.